Calling all car enthusiasts! Please join us for the first annual Rods and Robots car show on Saturday, May 11th, 2019 from 9 am - 1:30 pm. 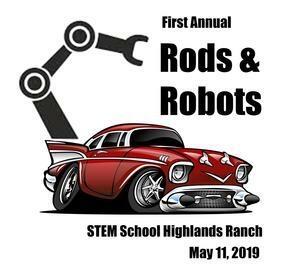 This is a fundraiser for the robotics teams and programs at STEM School Highlands Ranch. And we need your help!If you know anyone that might be interested in entering their car, making a donation, or being a sponsor, please send them to our website https://rodsandrobots.com for vehicle registration form and additional details about the event. Calling all car enthusiasts! Please join us for the first annual Rods and Robots car show on Saturday, May 11th, 2019 from 9 am - 1:30 pm. 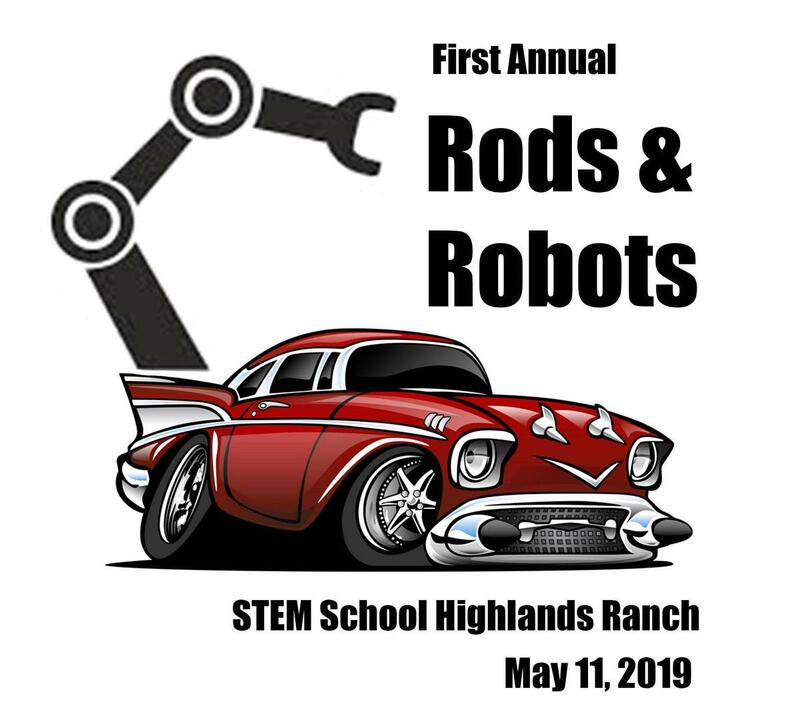 This is a fundraiser for the robotics teams and programs at STEM School Highlands Ranch. And we need your help! If you know anyone that might be interested in entering their car, making a donation, or being a sponsor, please send them to our website https://rodsandrobots.com for vehicle registration form and additional details about the event. Our car show includes categories for best Hot Rod, Classic, Rat Rod, Lifted 4x4, Air Cooled, and Low Rider. Winners will be selected by people's choice voting. The cost to enter is $20 per vehicle (includes 2 free admissions). Spectator entry fee is $5 per person. We are also developing an exciting schedule of robotics demonstrations, displays and activities featuring industry sponsors and STEM's award-winning robotics teams. Also, back by popular demand, STEM's Chili Cook-off! Details to come!